1. My new glasses, as in the ones you drink out of not the ones you wear. 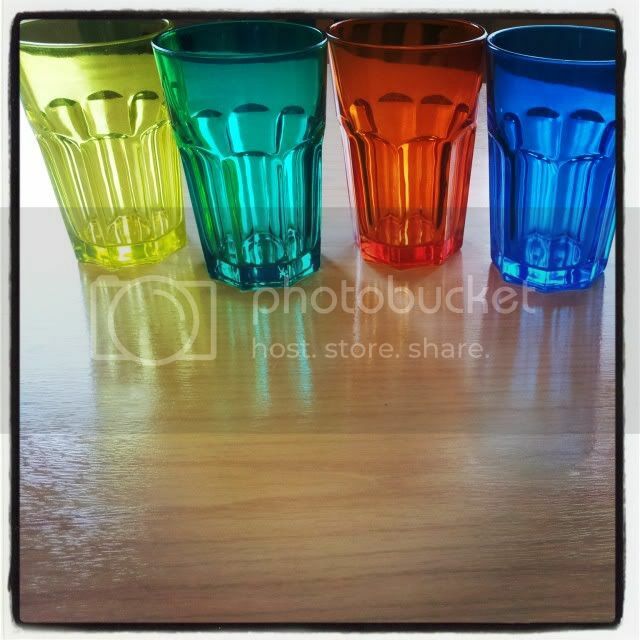 I love coloured glass and happened upon these at a bargain price of 59p each. .
2. Whilst returning alone from the school run one day last week, I saw a robin. I adore robins. I stood watching him for a good few minutes, for in those few minutes the world disappeared. 3. When we were conkering, on the way home Thing One voluntarily and wordlessly held my hand. I can;t remember the last time he'd held my hand. It was unexpected, unusual and absolutely lovely.